Upcoming Schedule: September golf heats up as we welcome the Fall Harvest and Grape/Wine Season to Niagara. Many groups make their return to the course as the weekend calendar remains very busy. 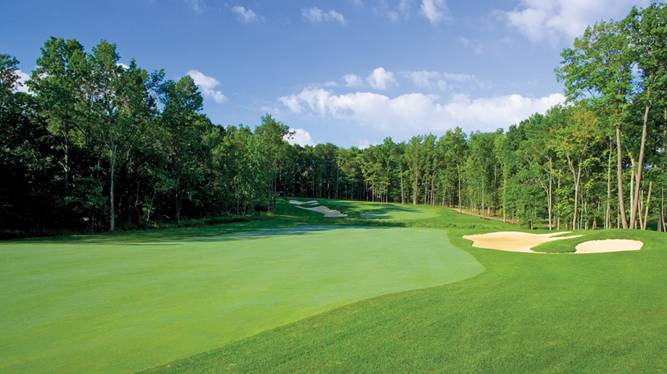 On September 9th & 10th we welcome the Canadian-Scottish-Irish VIP Golf Group, September 10th & 11th we are hosting the M&M Golf Outing, September 11th the Deepwoods Golf Association, September 16th the Doug Kennedy from Buffalo, NY VIP Event, September 17th the Jeffrey Green VIP Outing, and September 22nd we will be home to the Niagara Roadbuilders Annual Golf Day. October 2nd & 3rd we will welcome the season ending GTA Amateur 2-Day Championship. Member News: Grand Niagara GC welcomes Mr. Steve Harriman to our Member ranks. Congratulations to member Frank Frattaroli who registered his second hole in one at the course in 2016. This time it was on Hole No. 3 from 165 yards out with a 5-iron. Well done Frank! Membership Programs for the 2017 season will be released soon. Be sure to contact the golf shop in the next couple weeks as the information will be available! Before long, summer breezes will turn into cool fall winds. Not a concern – add another layer and dress for it! Fall golf is a great time to play and practice! With the kids back in school and hockey getting started, it’s a good time to get out and enjoy some late season golf. From past articles those who follow me will see that I not only play golf by feel, but I instruct by feel as well. I have brought some good success to those who have followed my feel approach. Never one to hit a million balls, the short game area is where you will find me. Don’t get me wrong, practice is vital. But, good practice can be found on the golf course. Here is one particular way to achieve good practice on the golf course and develop your touch and feel. Have you ever practiced by playing Worst Ball? Here’s how it’s done. When able on the golf course, hit two balls off the tee. The one that splits the fairway - leave alone. The one that finds the bunker – play two balls from there. Continue the format onto the green and into the hole. You will find yourself in terrible positions at times and have to play two balls from these positions, but in doing so you will significantly develop your touch and feel. A very tough but great and fun way to practice! As fall quickly approaches we find ourselves enjoying our final rounds of the year. Grand Niagara remains in top shape and looks forward to your next visit. Hope to see you soon! Grand Niagara hosted the Men’s Senior Amateur Championship September 6th to 9th. 156 players competed in the event representing six countries: Canada, USA, Hong Kong, Germany, Norway and Australia. Mr. Michael Mercier of Juno Beach, Florida was crowned as the 2016 Champion with a great 72 hole total score of -5! Click here for the entire leaderboard. All five players representing Niagara made the cut including our very own Food and Beverage Director, Joe Miszk! Thank you to John Taylor, our Property Manager and Golf Course Superintendent and his dedicated Turf Staff! Thank you to Golf Canada and their Committee for a great week! Thank you to the Grand Niagara Staff (Golf, Turf and Food & Beverage) along with the many volunteers who made the week a great success! People are always curious as to how much work it is for the maintenance department to host an event like the recently completed Canadian Senior Amateur Championship. Like every other department it is all about the planning and preparation to ensure the event goes smoothly. The biggest challenge is getting our regular work completed in a very condensed time frame as you cannot alter conditions during the competition. All work must be completed before the first group plays a hole or after the last group finishes a hole. It is very important to have enough equipment to get the daily prep completed before play starts on both 9’s. At Grand Niagara we are very fortunate to have a great fleet of equipment, and with a few loaned pieces from our local Toro dealer we were able to mow all greens, tees and fairways, rake all bunkers and of course change the pin locations as well as roll all the greens before play on all 18 holes. The staff then did an afternoon shift after play was completed to do things such as mow the rough, hand-water certain areas and fix divots and ballmarks from the days play. The one wild card that can never be prepared for is what mother nature will dictate for weather during the event. Fortunately for us, other than the heat and humidity, the major thunderstorm event that washed all the bunkers out happened the Wednesday before the tournament started. Events like the Canadian Senior Amateur Championship are a stressful yet fun four days. It is always great to prepare the golf course and then execute the plan to showcase our great course and display what our staff can accomplish. Thank you to the turf staff for all the hard work and pride they show not only for this event, but on a daily basis here at Grand Niagara. Q: A player places a club on the ground parallel to the line of play to assist her in aligning her feet properly. Is this permissible? A: Yes, provided the player removes her club before playing the shot. Otherwise a breach of Rule 8-2a would occur. Q: What is the status of stones in bunkers? A: Stones are by definition loose impediments regardless of their location. Thus, when the ball and stone lie in or touch the same hazard, the stone may not be removed. Unless a local rule is put into effect stating that stones in bunkers may be removed, they may not without penalty. Q: Is it a breach of a Rule for a ball to be holed while another ball is already in the hole? A: No, both balls are holed and no penalties are incurred by either player. It is merely a breach of etiquette for the first player to leave their ball in the hole if the second player has asked him to remove it.